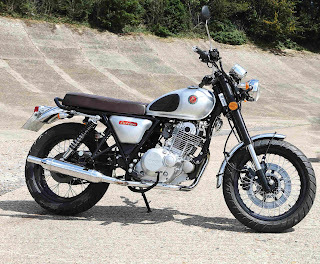 Real Riders: Francis-Barnett Falcon 250 Review, Revived! 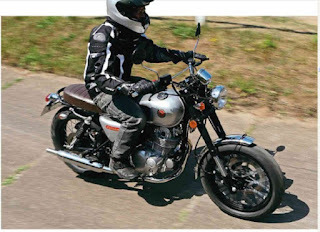 Triumph, Norton, Brough Superior... the list of revived names from the once-defunct British motorcycle industry seems to grow by the month. Triumph apart, they all produce on a tiny scale – a fraction of that once great industry – but their very revival points to a hunger for old marques from the past, and not just British ones – look at Indian, whose relaunch has revitalised the motorcycle arm of Polaris. And it hasn’t finished yet. At the Motorcycle Expo trade show in January, custom builder Mutt Motorcycles showed off its latest creation, reusing the splendidly period name of New Imperial. Francis-Barnett Falcon 250 - On The Road! Bikes like this aren’t expected to do long motorway miles, but the Francis-Barnett Falcon 250's extra torque over a 125 means it’ll cruise happily at an indicated 65-70mph in top. Try and push it faster than that and the vibes start to come through the bars and the seat, while the mirrors set up a sympathetic blur. Back at sixty-five, it all feels a bit less stressed, and the wind-blast from the upright position isn’t too bad at that just-over-HGV speed. The fuel tank isn’t big, at 10 litres, and I didn’t have a chance to do a consumption check, but given that similar mild-mannered 250 singles can usually manage 75-80mpg, 150 miles from a tankful looks realistic. The switchgear is all standard stuff that works well enough. The sole speedo suits the naked retro image... and the digital gear indicator does a good job of detracting from it.